The 62nd Open Art Exhibition got off to a flying start on Friday 17th August with a lively and well attended Preview Evening. Visitors commented on both the variety and high standard of paintings and 3D art work. The Club President, Martin Bentham RWA, presented awards to students from Clevedon School in recognition of their excellent art work. 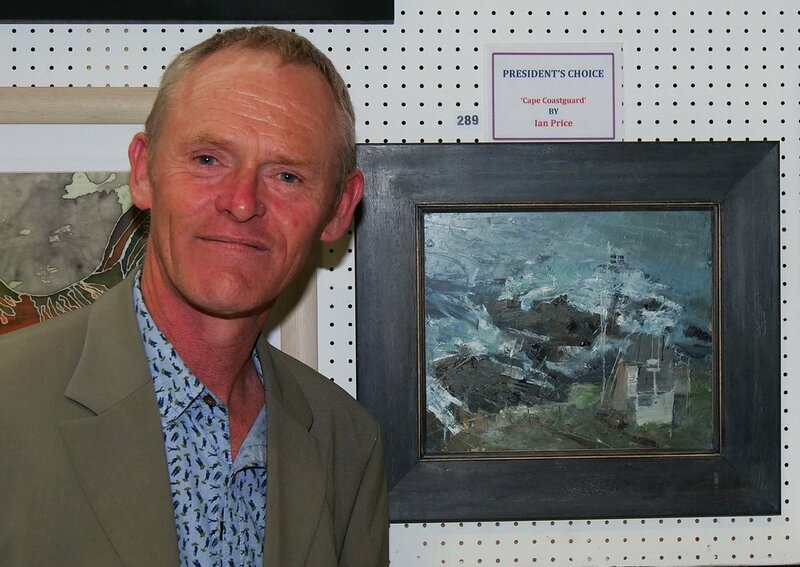 Martin is pictured below alongside The President's Choice, Ian Price's oil painting 'Cape Coastguard'.